Train in your own home away from busy gyms! We understand some people are uncomfortable training in front of an audience so that’s why mobile training gives you the perfect opportunity to have a qualified personal trainer concentrate entirely on you and your goals in a space that is safe and comfortable for you. Walking into a gym for the first time can be rather overwhelming and it is very easy to become intimidated by all the big and confusing equipment/machinery. Nothing churns up feelings of anxiety like a gym filled with massive, body building males and super fit females in their designer workout gear. As a beginner you’re still learning how to perform the different exercises, you’re unaware of how many sets/repetitions to do and knowing what each machine actually does remains a mystery. Why put yourself though all this when you can train in the comfort of your own home and the great outdoors and receive personalised fitness programming and guidance. Don’t you hate the time you waste after work travelling to and from the gym, struggling to get a car park and not being able to use the exercise equipment you need because the gym is too busy. A mobile personal trainer takes away these extra stresses and saves you time by coming to your own home and brings with them all the equipment you need. If you have a home gym set-up, your personal trainer can also show you how to use this in order to get the best possible weight and fitness results. Most gyms just want as many people through the door as possible and have everybody signed up to long term contracts. Once signed, the average person will receive a generic workout program to follow together with a quick tour of the gym and then you’re on your own. With a mobile personal trainer your sessions are private and personalised with experienced trainers whose number one focus is to help you reach your goals. When looking for a personal training service look for someone that will treat you the way you want to be treated, respects the way you learn and who is client-focused. A high-quality personal trainer guarantees ongoing contact and motivation not only within your sessions but also via phone, email and text whenever you have a question to ask. Ultimately achieving the best results for each client is driven by creating a strong relationship between client and trainer. Get out and enjoy the sunshine and fresh air while you train! Don’t get closed in by the 4 walls of a gym instead train in your local park/back-yard. An experienced personal trainer will come prepared with a variety of equipment and ideas on how to use your surroundings to have an enjoyable and effective training session. There are endless ways to exercise and you certainly don’t need to use big clunky machines to help you. Experienced mobile personal trainers are constantly learning new ways to train the body with the use of minimal equipment and incorporating more functional, bodyweight based exercises. Despite the use of minimal equipment you’ll be surprised with the fitness results you can achieve. Most gyms have start up fees or will advertise ‘no start up fees’ with the catch that you must then be locked into a long term contract. With MaxNRG Personal Training Melbourne its plain and simple, you pay for your sessions and there are NO LONG TERM CONTRACTS! Even though a personal trainer is always there to continually push and motivate you, training with a friend or partner is a great way to give you that extra kick. It is often quite hard to train with a friend or partner in an overly crowded gym and it can also be difficult to arrange a time that suits both of you to get to and from the gym and to pick a gym that suits your work and home locations. A mobile personal trainer can ensure you both continue to work towards your individual goals while offering a variety of new and exciting exercises to keep you both motivated and enjoying your training sessions. It also means you can select a time and place that is convenient to all parties involved and provides an environment for you to socialise in with your training partner as you work towards your weight and fitness goals. Personal Training guarantees more fitness benefits when training with a friend or partner and can save you over 33% on normal training fees, so it also makes great economic sense as well. Having a mobile personal trainer come to you saves you the time getting to and from gyms. We can come to you before work, after work or even during your lunch break. For anyone to achieve the fitness results they want, it all depends on having a personalised program that is aimed at the most effective way for you to generate those permanent health and fitness changes. Having a personal trainer that comes to you will also create more spare time for you to feel good about yourself and enjoy life with friends and family. Are you new to the Melbourne area? Or just want to meet new people? Don’t get stuck going in and out of gym classes, not knowing a sole. 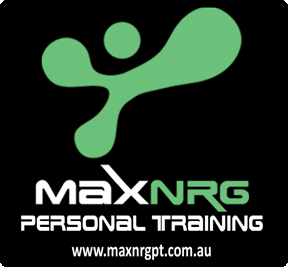 MaxNRG is a Melbourne based Personal Training service that provides the best in group fitness training and delivers a highly enjoyable session while still achieving fantastic results for all its clients. 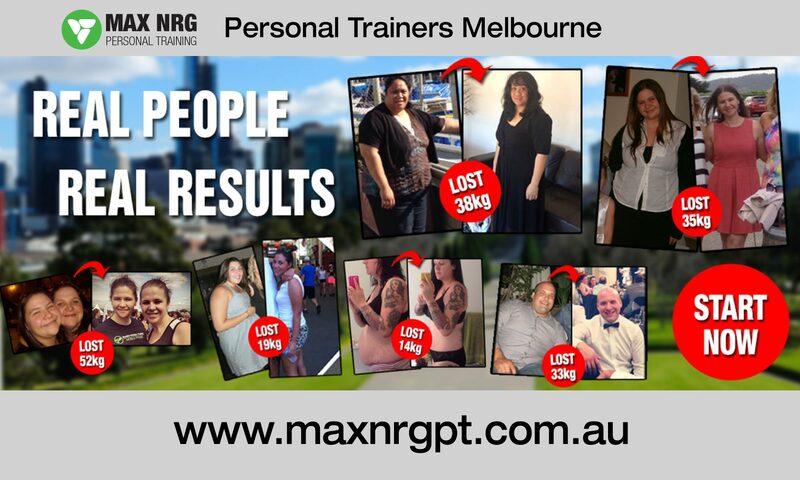 MaxNRG Mobile Personal Training Melbourne is a company that provides personal training services throughout Melbourne and Melbourne’s northern suburbs. Whatever your health & fitness goals are a MaxNRG mobile personal trainer will be able to develop a fitness program to help you achieve your goals. 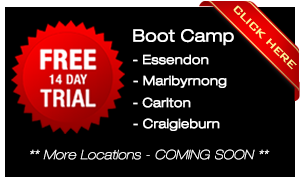 Our mobile personal trainers provide personal training sessions all across Melbourne. So if you want to get fit but not join a gym, talk to us today about how a MaxNRG personal trainer can help you. Hi!! I’m interested in having some one on one training!! I am a shy and self conscious person who has put on weight after been on medication for 3 yrs!! I’m off them now and want to lose the weight with some help!! No diets have worked!! I need discipline and motivation!! Please let me know if someone is available! !